There have appeared many training plans which promise us a thin and shaped figure and guaranteed effect. Anyway, one of them was described as „the hardest training that has ever been launched on DVD”. It is an Insanity workout. What is it, who created it and will it really help us reach an ideal weight? Get ready, because this will be insane! Shaun Thompson is an American fitness trainer who came with insanity 60 day workout which can change your life. He named it Insanity – and it is really insane. The principle is that you will try to go beyond your powers when exercising. The whole insanity workout is built on maximal interval training (high-intensity interval training). It is not the classical interval training, when you exercise intensively for a short time and relax longer. Insanity is an upside down interval training using maximal heart beat frequency. You exercise in extremely for a longer time- 3 or 4 minutes and then you relax shorter-30 seconds. The insanity workout videos last on average 45 minutes and they should give you the best shape of your life. And what about the results? Almost unbelievable! Those who have little time or are not in the mood for exercise in a gym will appreciate Insanity. You can exercise at home, in comfortable clothes and shoes. You only need a bit of space, towel and cold water. 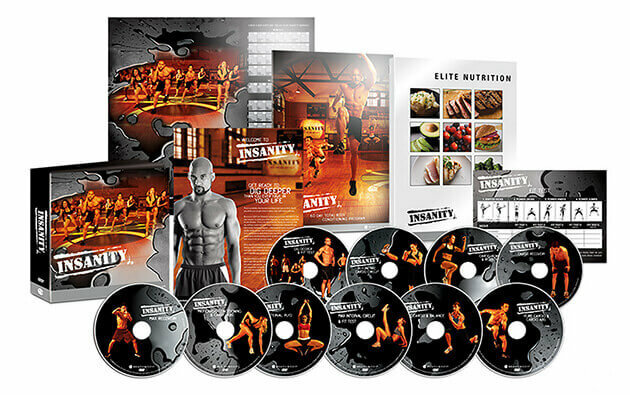 Insanity workout calendar covers all 60 days of your insanity workout and includes an area for your fitness test results. Insanity is about he will and motivation. Already in the first video you will realize that this is a REAL TRAINING which will help your body and physical fitness. Shaun T. says himself that you will get the best figure ever after this exercise. You need a strong will and commitment. But you will manage it! 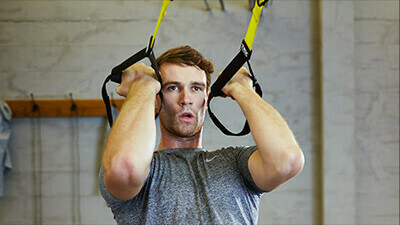 Training Insanity is divided as 60–day programe. You exercise six days every week and you relax one day. The 1st day of the whole programe you will try Fit tests. These are eight exercises which you will try to do as fast as possible during one minute and then you will write down the number of repetitions you have done. You will exercise the Fit test every 14 days and thanks to results comparing, you will know that your physical fitness, power and endurance really change. You will see the power of Insanity exercise in videos as you will see people who are bad or good with their exercise. It is obvious that it is no deceit. During 60 days you watch their progress, they compare numbers in Fit test. Insanity videos are so real, that even if you exercise alone at home, you have the feeling of community. Each Insanity video starts with intensive warm up, stretching of big muscles. Intervals focus on power, endurance, physical fitness, legs, stomach muscles and the center of the body. The end is stretching. High-Intensity Interval Training workouts burn fat better. HIIT increases post-exercise energy expenditure which leads to higher and longer post-exercise caloric burn. It play an especially important role in decreasing belly fat. Insanity is a real challenge to a change. Do not be annoyed if your friend loses five kilograms after three weeks and you only one. Each of us is different and the results are different, too. There are several reasons for trying this exercise which looks horrible at the first sight. The greatest advantage of Insanity programe is the possibility to exercise at home. You can exercise in front of TV and in living room. You should find a time for yourself and you can do something for your health and physical fitness. There are many people on internet who have already started the exercise. They monitor and present their results. And the evidence is clear. Many times, there is just weight reduction or improving the physical fitness. But not only participants are suprised by the final results. 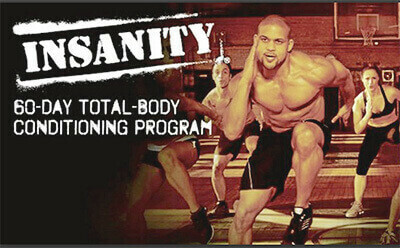 Insanity Workout plan is one of the most intensive home programmes that has ever been created. It is a great tool to change and gaining the body and fitness you have never dreamt of. If you buy and original DVD and you will share your progress on the web of Insanity, you can even get a team shirt which says „I earned it“ and you will become a part of this great family. All the benefits of HIIT training in one fitness program! You will push yourself past your comfort zone. You will work harder than you’ve ever worked before. You will be sore. EARN IT!